Henry Marten was born 8 May 1856 at Penn Hall, the second son of Henry John Marten. 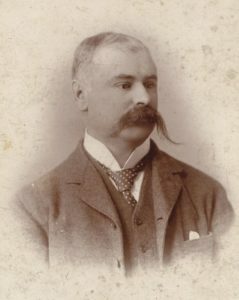 Like his father he became a civil engineer and like his elder brother Edward Dimmack Marten was employed for a time by the Severn Commissioners. In family documents he was always known as Harry. He married twice but had no children. Both his wives died relatively young. His family were non-conformists, he attended Mill Hill School, where his uncle Richard Francis Weymouth was headmaster. He went on and matriculated at St John’s College Cambridge in Michaelmas 1873, where another uncle Alfred George Marten was a fellow. His first wife was Hannah Clegg, who came from Lancashire. They married on 10 Dec 1878 in Ulverston. She died on 30 May 1890 in Keynsham. 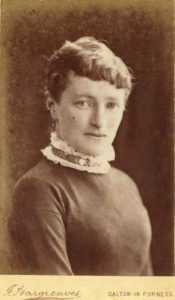 His second wife was Fanny Jane Shellard, whom he married on 23 Jun 1896 in Paddington. He moved with his work to be director of the waterworks in Devizes in Wiltshire, but she too died on 4 Sep 1912. Henry continued to work at Devizes, but is recorded, for instance as being a visitor to his sister Nettie in Suffolk in 1926. The son of his brother Tib, Roy Marten was the executor of his will when he himself died on 14 Jul 1930 in Cheltenham.